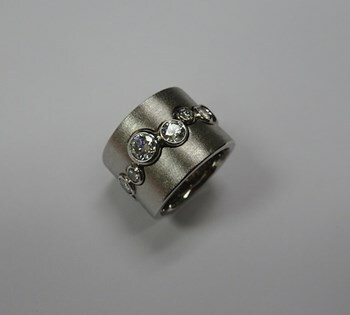 Mark Katzeff hails from South Africa, where he studied under top German-born jewellers and honed his craft into the exclusive jewellery business he has today. His shop utilizes unique, exotic materials such as mammoth ivory, mother of pearl, fossilized dinosaur bone, slate, and meteorite to name a few, to ensure that his pieces stand out from the rest. When Picasso said, "I begin with an idea, and then it becomes something else," he was likely predicting how Mark Katzeff can take an idea and turn it into your dream. The vision neither of you knew as possible when you first began your consultations. From the beginning of your dream idea, Mark listens, crafts and tools the vision of what your heart desires most into a reality you can wear with endless pride. 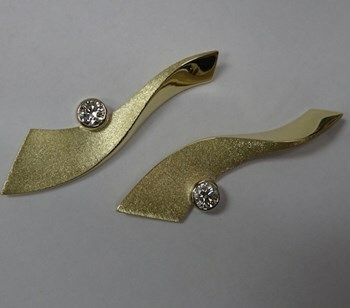 Organic wave earrings in brushed & polished yellow gold, with asymmetrical bezel set diamonds. 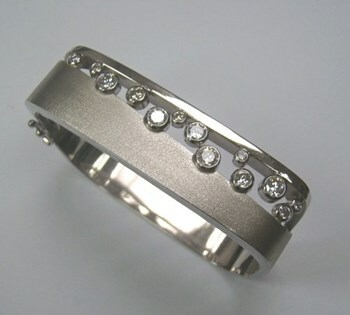 All white gold bangle with scattered bezel set diamonds set between an angular brushed and a highly polished edging. 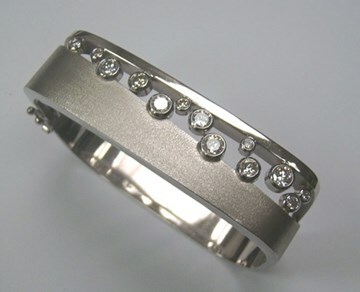 All white gold bangle with scattered bezel set diamonds. 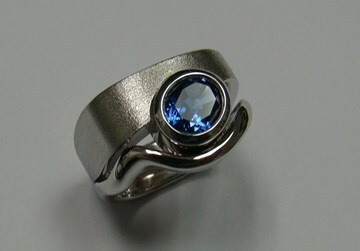 Bezel set oval blue sapphire set between brushed angular and polished narrow organic bands. Enjoy this mix of visuals where the sapphire shines differently in the light depending on if the angles catch the polished or brushed accents. 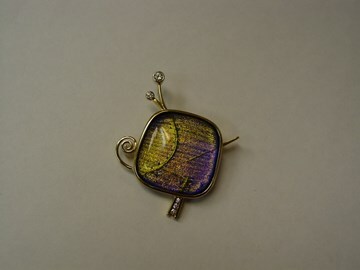 Dichroic two-in-one glass brooch and pendant. 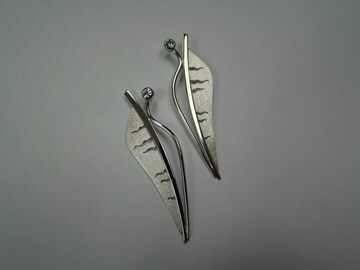 Textured platinum, bezel set diamond earrings. 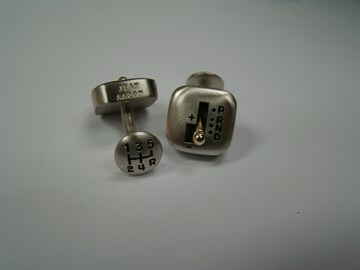 Automatic gearbox/stick-shift cufflinks with functional gear sticks in brushed and oxidized white and polished yellow gold. 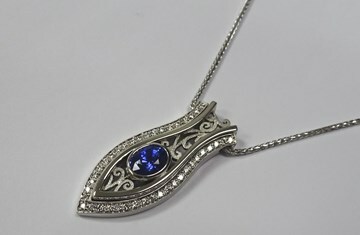 Bezel set oval blue sapphire centred in pave diamonds in a millgrain edging.